Customer acquisition is an incredibly tough goal and competition continues to grow as startups and businesses around the world increase in numbers. If you’re going to drive the customers and interest you need to survive you need to start generating demand for your product or service. Demand generation is the idea of creating a need for your product or service in the minds of your potential customers. It is a multi-step process that shows your prospects a problem they face, acquaints them with your brand as a potential solution and illustrates the value of choosing you over others. It’s also important to address what’s the difference between demand generation and how it differs from its close friend lead generation. Lead and demand generation are often lumped into the same category even though they’re two different initiatives. This is how we take a look at the key differences. Lead generation is entirely focused on getting your prospects to submit information you can use to nurture and sell to them. At a high level it can be illustrated by creating a robust piece of content and gating it behind a form that collects phone numbers and email addresses. The initial focus is on lead generation instead of education. Demand generation is the inverse of that. It’s all about educating your prospects first by showing them there is a challenge that exists and then you explain how your product can solve that problem. It is a more proactive approach to get in front of your audience. This is about showing people you exist, which is much more top-of-funnel than lead generation. Most demand generation strategies need to follow certain steps to get customers interested in your product or service. Without a strategy, it’s more difficult to get your customers from point A to point B. If you work in a fairly niche or new industry then a big portion of your time should be spent educating your market on the problem your product aims to solve, because they won’t always know that they have one. This creates a demand across the entire industry. This next step–which is what our eight strategies focus on–is increasing the overall awareness of your brand. By getting in front of a targeted, informed audience you increase the likelihood of someone remembering your product when they decide it’s time to purchase. Once your audience has a better idea of the challenge that exists, and that you offer some sort of solution, you can create more robust content that shows them the benefits of choosing you. For instance, webinars or eBooks that specifically talk about how your product works. One way to exponentially increase the demand for your core product or service is to create a free tool that compliments it. By figuring out a pain-point your current customers and prospects face you can create a tool to help them solve that. This is exactly what Sprout Social did with our new social media image resizing tool Landscape. We realized that one of our highest traffic-driving blog posts–a guide that lists the perfect image sizes for each social network and post type–could be turned into an interactive tool, and Landscape was born. Since its release in March the tool has driven over 100,000 site visits and have increased the Sprout Social trials, which is how we get customers in the door. Since Landscape has such a clear tie to our core product Sprout Social, which is a social media management platform, all of those visitors are highly qualified users who are now being exposed to our product. 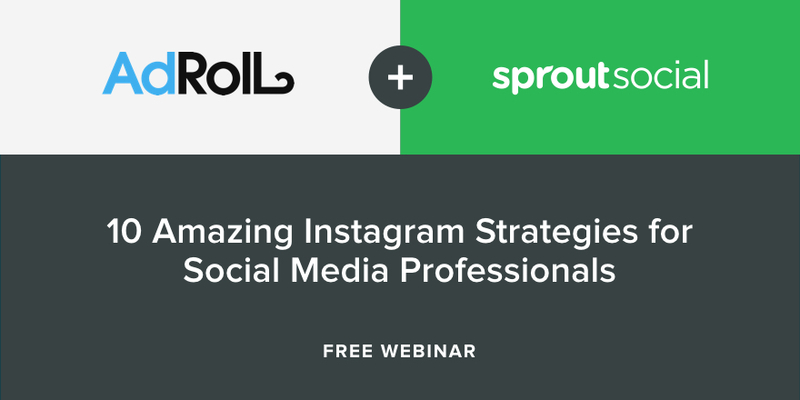 When they’re looking for a social media publishing tool to actually share the images they’ve created with Landscape they’ll think about Sprout Social. Free reports, like free tools, are another great way to create demand for your product. If you create a tool that generates useful, relevant reports for your users they’ll likely be very curious to see how they perform and run them for themselves. 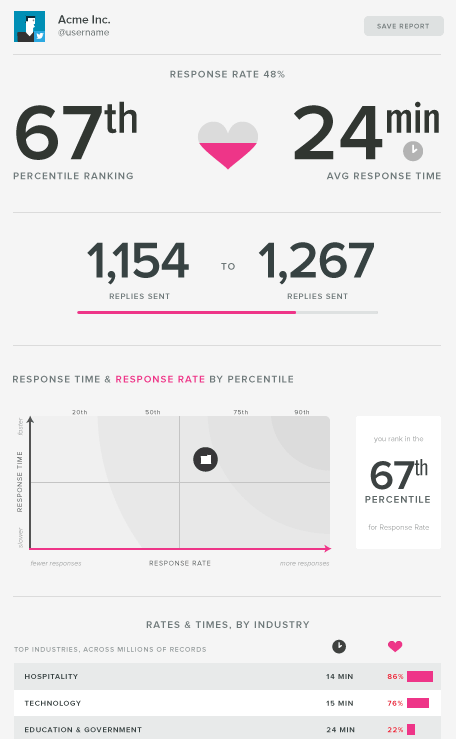 One such report we use at Sprout Social is our Must Be Present social media engagement report. Users visit the site, fill in some contact information, authorize their Twitter page and we generate a free, informative social media report for them. This particular report tells readers how quickly and effectively they respond to social media messages and how that stacks up to other companies. Since the outcome of the report is so closely tied to our core product offering, it’s likely those who are requesting a download are incredibly qualified prospects. If it turns out a company or individual isn’t responding as quickly or efficiently as they’d like, then we’ve just created a demand for our service in their eyes. Some marketers make the case that free resources like toolkits, eBooks, white-papers and webinars should be considered lead generation instead of demand generation. 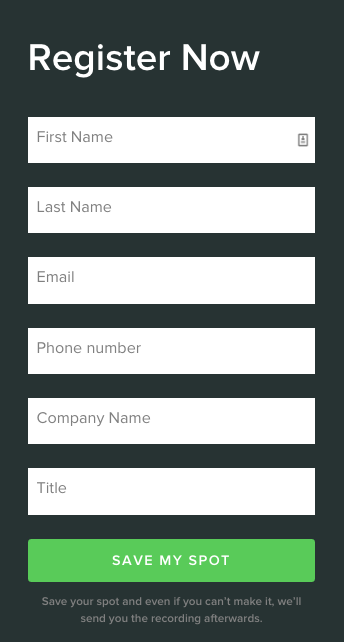 That’s because more often than not these assets live behind a gate that collects user data, such as this lead generation form we use to gate our social media webinars. However, that’s not necessarily the case. If the resources that you create and share with your community establish a challenge or pain-point that people face and go on to address how you can help, this would be considered a both a demand generation and lead generation activity. Your company blog should is one of the most powerful ways to generate demand for your company. While this article won’t get into the nitty-gritty of how to get your blog posts to rank in the search engines, consistently writing amazing content should help you generate higher volumes of organic traffic. The article begins by addressing how creating a robust content calendar can save marketers tremendous amounts of time on their social media presence. Once we’ve offered enough proof that a content calendar is instrumental for successful social marketing, we can move into discussing how Sprout Social has functionality that allow them to schedule months of content at a time. If you’re having trouble thinking of some topics that will resonate with your potential customers it’s good to reach out to your sales and customer support teams. It’s likely they have a list of frequently asked questions you could use to inform your articles. Video has become a must for marketing professionals, and when video sites like YouTube have over a billion users–which is a third of all people on the internet–it’s not surprising why. Brands can drive incredible demand for their business by creating and sharing videos that detail what their products can do. If you don’t have much video content it could be time to learn on your design team or bust out your video phone. Videos don’t necessarily require a expensive equipment or professional actors, so do the best you can with the resources available. Partner marketing is the idea of co-creating content with other companies in order to gain exposure to their audience in exchange for delivering exposure to some of your own. These campaigns can manifest in many different ways, but one common examples of partner marketing is joint webinars. We frequently run these types of webinars at Sprout. It’s important to work with companies that may have a similar audience to yours but those that don’t offer a competitive product. That way you’re getting in front of new, relevant prospects while not risking those that you already have. One amazing way to gain exposure and increase the demand for your company is to share guests posts to publications in your space. When creating articles for other sites you’re typically allowed to mention your own company once or twice, and getting relevant publications to share that content will lead to great exposure. The downside with guest posting is that it can take a while before you establish the credibility necessary to gain access to some of the larger websites in your industry. Most big publications will only accept contributions from an established writer, so try to start writing for smaller sites in your niche and continue to leverage those placements to grow. Social media presents an incredible opportunity for brands to boost the awareness and demand of the product. With the proper strategy, it’s possible to grow a robust social media following more aware of what you supply, increasing the demand from those users. 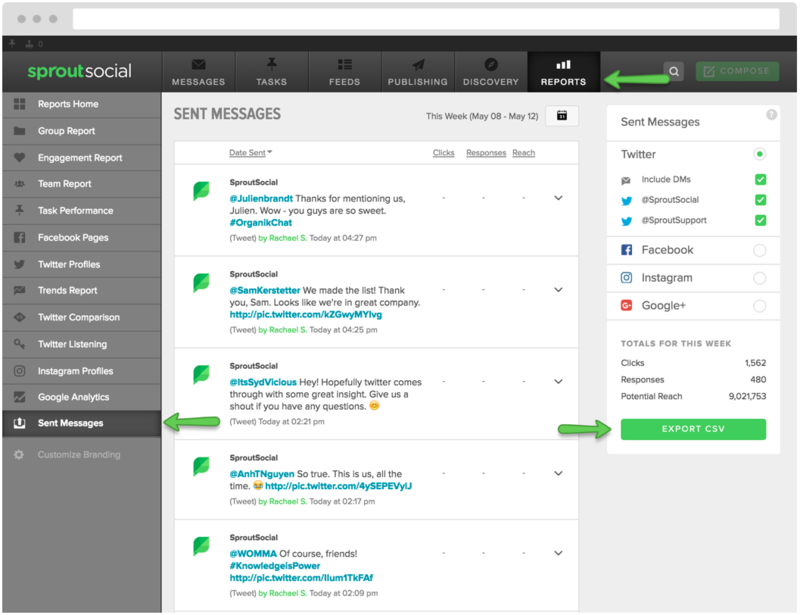 Head over to your Sent Messages report in Sprout Social–if you’re not currently using our tool you can start your own free trial here with no credit info or software necessary. From there you can export historical social media data to study. Once it’s downloaded, look at which posts performed best based on your most important metrics (clicks, shares, reach) and figure out the common themes. Once you find out why people engage with your content, you can create more posts with that strategy in mind. After you figure out what kind of content resonates with your audience you can start scheduling content to share. 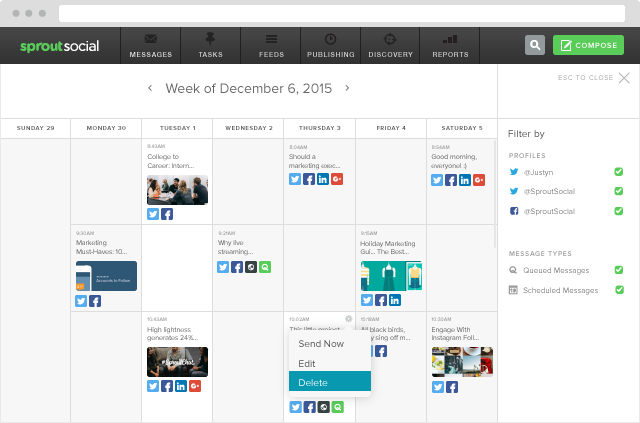 You may find it more time-effective to schedule weeks or even months of content at one time. Once you have that done all you have to worry about is engaging with the responses to the messages you share. Make sure you don’t forget to respond to everything, as that can spell the difference between someone who saw your add and a loyal customer. A good social media marketer knows that it’s all about the testing. Constantly testing new channels to see where we can find value, and trimming out what isn’t working you can spend more time on what does. Never be afraid to drop a channel that isn’t working, there are always more that you can try, and hopefully this list gave you a good place to start.